I promise you there is text there. Look closely, it is grey. 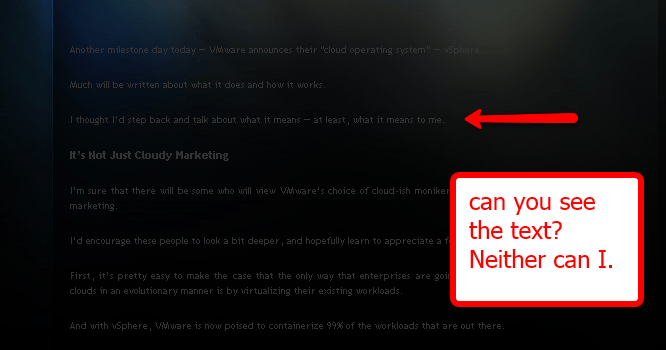 I tried to read this blog post. It could have been really good. But I didn’t have time to copy and paste the text into another app to read it. So I left. Maybe next time. Don’t forget about contrast when designing your blog. Losing readers before you even get started is pretty lame. Especially since half the battle is getting them to your page. Don’t lose them when they finally arrive.